It has been a severe allergy season in our house this year. My oldest son has been congested and struck with a nasty cough that keeps hanging on. Luckily for us, he has a dragon humidifier from Crane’s Adorables collection. Have you seen these? They are perfect for any child’s room. It really brings some happiness to him when he is sick. As much as we love the Adorable humidifiers, we needed something more modern to keep in our bedroom and living room. Who says humidifiers have to be bulky and stored away? 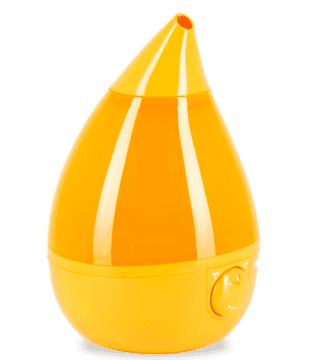 The Drop humidifiers are unlike any humidifier on the market. These are beautiful, modern humidifiers that not only look attractive, but they work extremely well. It’s definitely the best humidifier we’ve ever owned. Reasons We Love the Drop! One of our favorite features of the Drop humidifier is the low glow it gives off when plugged in. It’s so soothing and also makes things a bit easier when reaching for a cough drop or tissue in the middle of the night. Cool Mist Humidifiers are Important to Keep Clean! Empty water basin and water tank daily. Disinfect weekly by adding two tablespoons of white vinegar to half gallon of fresh water. Let the solution sit in water basin and water tank for 20 minutes. Rinse and repeat. Rinse one last time to remove vinegar smell. Learn more about Crane USA by visiting their website at: www.crane-usa.com. You can also follow them on Facebook and Twitter. I received a humidifier to review, but all opinions above are strictly my own. Thrifty Thursday: Have you gotten your FREE Mother’s Day Card Yet? we have used these since my oldest was a baby 9 yrs ago…we’ve had the frog, duck, dragon, pig, penguin and cow…awesome! there’s one in every bedroom! We have the elephant. Works great. <3 <3 <3 We have the penguin and the owl!